We're a wooden swingset Manufacturer, All our playsets is built to last and is extremely beautiful. Woods are all double treated to stand all harsh weather condition and time. Also, comes with 5 years warranty on all lumber parts. Outdoor play system professionals design and build custom playhouses, playsets and other equipment, and also install prefabricated kits. They can design a playhouse to look like the main home or come up with a completely unique concept that suits the parents’ and kids’ fancies. 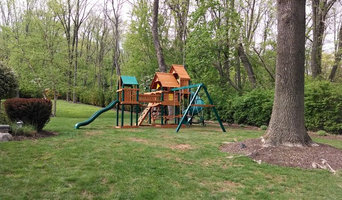 Because playset kits can be quite tricky and time consuming to assemble, many New Jersey homeowners hire professionals to handle the job both for convenience and for peace of mind with regard to safety and structural integrity. Here are some related professionals and vendors to complement the work of outdoor play systems: Backyard Courts, Landscape Contractors, General Contractors, Woodworkers & Carpenters. 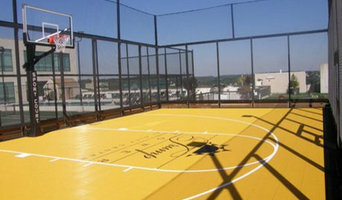 Find an outdoor play system professional on Houzz. 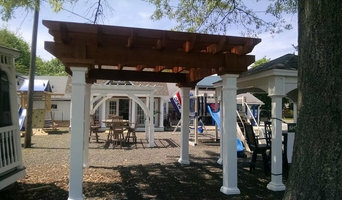 Narrow your search in the Professionals section of the website to Bayonne, NJ outdoor play systems. You can also search farther afield for a pro who fits your project’s needs.